When something happens during your day, regardless of what that stressor is, your body responds the same way every time. Your HPA axis kicks in and sends a cascade of hormones into your system. Dominated by a flood of cortisol from your adrenals. To fight the effects of stress in your body. This stress response can be caused by fear or anxiety set off by a remark from your spouse, someone cutting you off in traffic, someone shooting at you, not enough sleep, excess exercise, or illness. When the stress ends, your body is designed to return to normal. But the thing is, in our modern world, and for most of us, the stress often continues. The symptoms stay under the radar and we’re not aware of it. The symptoms of chronic stress show up as brain fog, anxiety and depression, weight gain around your waist, not feeling rested after a night’s sleep, and catching every cold or flu bug that’s going around. As a neurohacker working on optimizing cognitive performance, it’s important to realize that chronic stress and cortisol will damage your brain. And work against everything you’re trying to do with nootropics. Fortunately, you have easy access to an elite-class of nootropics that help your body cope with stress. And avoid the damage it can cause. Bringing your body back into a balanced, healthy, optimized state. They are called “adaptogens”. Neuroscientists at the University of California, Berkeley found that chronic stress triggers long-term changes in brain structure and function. [i] Chronic stress changes neural networks. Cortisol creates a domino effect that hard-wires pathways between the hippocampus and amygdala. (The amygdala (lizard brain) is the area responsible for your fight-or-flight response). This hard-wiring caused by stress is not the way your brain was designed. But chronic, ongoing stress tricks the brain into rebuilding circuits and hunkering down for the long haul. This re-wiring appears to be permanent. Unless you intervene with something like an adaptogen. Chronic stress seems to ‘flip a switch’ in stem cells in the brain. And turns them into a type of cell that prevents connections to the prefrontal cortex. Preventing learning and memory. Of those medicinal plants, a couple stand out as unique in their ability to help humans cope with physical and mental stress. Other cultures and ancient healing systems have since added to this short list. We now call these herbal remedies “adaptogens”. The word adaptogen is derived from the Latin adaptare (to adjust or adapt). It was first used by Soviet physician and scientist Nikolai Lazarev in 1947. Lazarev was joined by Dr. Israel Brekham, and as a team began the search for botanicals with adaptogenic qualities. It turns out that many of these “metabolic regulators” are compounds found in certain plants that help them cope with growing in a stressful environment. These compounds help plants adapt to extreme temperatures, resist insects that would otherwise do them harm, or cope with toxins drawn into the plant from the soil it’s growing in. Ancient medical practitioners discovered that a few of these plants, or compounds derived by extraction, transferred their benefits to humans. And help us cope with various kinds of stress too. Adding adaptogens to your stack can improve alertness, concentration, focus, learning, memory, mood and reduce brain fog. 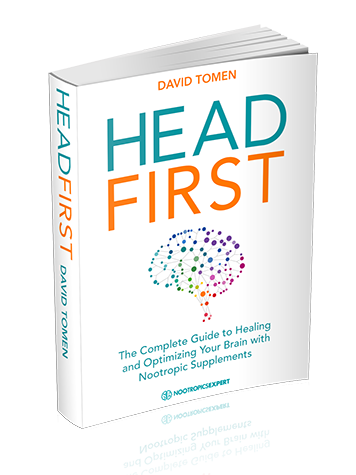 But the primary purpose of adding an adaptogen to your nootropic stack is to reduce physical and mental stress. And bring balance back to your life. Herbal adaptogens are known for increasing your resistance to both mental and physical stress. They offer the ability to adapt to stress more easily. No matter the cause. It could be a hectic calendar, extremes in hot or cold, noise, changes in altitude, exposure the toxins in food or the environment, illness, or physical exertion from exercise or work. The beauty of using any of these nootropics is not only protecting you from stress. But they can also boost cognition, improve your reflexes, provide clearer thinking, and even improve your memory. The best adaptogen supplements for nootropic use make up a short list. This elite class of herbs can have a profound effect on cognition and brain health. Natural adaptogens are easy to find in local vitamin shops and health food stores. And most of the online retailers that sell dietary supplements carry the adaptogens listed below. Each nootropic below features a live link to a full adaptogen supplement review. 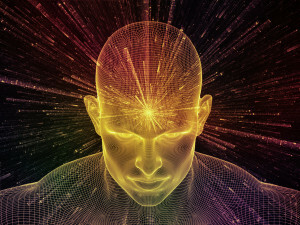 The detailed article on each includes the history and why it’s used as a nootropic, how it works in your brain, clinical studies, recommended dosage, possible side effects and the best form to buy. Ginseng – Instead of reaching for an energy drink, another cup of coffee or an Adderall to give yourself a boost – try Ginseng. One study with 30 healthy young volunteers demonstrated the power of Ginseng. Participants were given 200 mg or 400 mg of Panax Ginseng extract (G115) then asked to perform various tests. Asian Ginseng (Panax ginseng) has been used for over 5,000 years as an herbal remedy. [v] Panax means “cure-all” in Greek. This potent adaptogen reduces adrenal fatigue, and boosts GABA. Providing an anti-stress effect. Ginseng also stimulates the formation of new blood vessels in your brain which improves blood circulation. Ginsenosides increase protein synthesis and the activity of neurotransmitters. All of which improves alertness, reduces mental fatigue, boosts memory and overall cognition. American Ginseng (Panax quinquefolius) is preferred by many neurohackers over Asian Ginseng because it’s not as stimulating. And it’s produced under stricter conditions than any other ginseng. Studies show American Ginseng has a profound effect on enhancing memory after a single dose. [vi] And like Asian Ginseng, is a great choice for relieving anxiety. Gotu Kola also helps prevent the breakdown of acetylcholine which enhances cognition, learning, memory and mood. [viii] Some neurohackers report it as effective at reducing anxiety and relieving stress as Ashwagandha and Phenibut. As a bonus, Gotu Kola helps protect your brain from toxins and oxidative stress. This ancient Ayurvedic herbal remedy, Gotu Kola was used just like a first-aid kit. It was used to treat mental fatigue, anxiety, depression, memory loss, insomnia, fever, syphilis, hepatitis, epilepsy, diarrhea and asthma. Ashwagandha – Native to India, Pakistan and Sri Lanka, this potent herb is one of the most powerful in Ayurvedic medicine. And stands shoulder-to-shoulder with some of the most potent prescription drugs used to treat depression and anxiety. In Sanskrit, Ashwagandha means “smell of horse”. Meaning this herb imparts the strength and vigor of a stallion. It helps relieve anxiety and depression by reducing the stress hormone cortisol. And by enhancing GABA and serotonin receptors in your brain. Studies show that Ashwagandha helps regenerate axons, dendrites and synapses. Restoring neural networks needed for memory. The extract of this herb inhibits the enzyme acetylcholinesterase. [ix] Which keeps more acetylcholine available for cognition, learning and memory. Lemon Balm – As an adaptogen, Lemon Balm is most commonly used for stress relief, and to reduce panic attacks. The rosmarinic acid in Lemon Balm provides anti-anxiety effects by inhibiting the GABA transaminase enzyme. Which helps maintain adequate levels of GABA in your brain needed for regulating mood. Another active component in Lemon Balm called eugenol works as a powerful antioxidant. Naturally eliminating free radicals that would normally damage brain cells. The bottom-line is Lemon Balm helps anxiety, concentration, depression, focus, irritability, learning and memory. 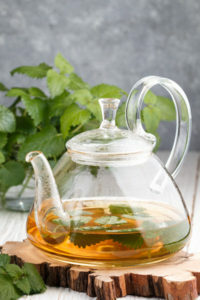 Some reviewers say using Lemon Balm works as well as prescription Xanax. Without the side effects. Ginkgo also helps increase cerebral blood flow which improves oxygen and glucose delivery to fuel brain cells. Improving cognition, learning, memory and recall. And it reduces oxidative stress by eliminating free radicals. Keeping brain cells healthy. One important thing to note if you decide to try Ginkgo. User reviews and studies have consistently shown that it may take several weeks of supplementing with Ginkgo before you realize any benefit. But once those benefits start to kick in, this adaptogen may become a permanent part of your nootropic stack. Bacopa Monnieri – Bacopa is considered by many to be the best nootropic available today. It’s an adaptogen because it helps prevent the chemical and physical effects of stress. Instead of simply suppressing them like many prescription antidepressants and anti-anxiety drugs. If you’re thinking of trying Bacopa but need a little more convincing, I recommend reading the extended review here on Nootropics Expert. Particularly the section called “Bacopa Monnieri to the rescue”. It digs down into the molecular evidence on how this adaptogen works. Rhodiola Rosea – Rhodiola has an amazing ability to help you overcome fatigue and exhaustion caused by physical and mental stress. Rhodiola is known for improving alertness, energy, memory and mood, is anti-anxiety and anti-depressant, reduces fatigue, and boosts cognition and concentration. The active components in Rhodiola collectively known as rosavins along with salidroside and tyrosol provide its benefits. It reverses damage to neurons caused by chronic stress. And it promotes key neurotransmitters like serotonin, norepinephrine and beta-endorphins which help reduce stress. Rhodiola also prevents and repairs damage caused by C-reactive protein and free radicals. It even helps regenerate neurons during periods of stress. In part by boosting the synthesis and re-synthesis of ATP. The main fuel source for brain cell mitochondria. Clinical studies and user experience show you get the full benefits of Rhodiola Rosea by supplementing with this adaptogen for 30 – 40 days. Some of the adaptogens reviewed in this post have thousands of years of science supporting their use. Some of the ‘newer’ adaptogens like Lemon Balm have dozens of clinical trials and hundreds of years of practical use proving their efficacy in treating stress. When used according to dosage recommendations, side effects are few or non-existent with adaptogens. These natural herbs simply bring balance back to your body and brain. Effectively treating stress often results in the added benefits of better memory and learning, less physical and mental fatigue, elimination of anxiety, and a better mood for a much more pleasant quality of life. Living in this modern world makes it nearly impossible to bring balance back to our dysfunctional lives without the intervention of nootropics. And particularly an adaptogen or two. Some of the higher quality, pre-made nootropic stacks like Mind Lab Pro include adaptogens in their formula. So read the labels carefully before making your selection. 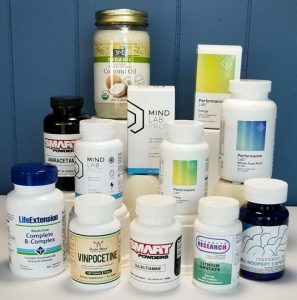 You’ll find that selecting the right adaptogens for your nootropic stack will often improve the effectiveness of racetams, choline supplements, and other nootropic compounds. If you’re dealing with chronic fatigue, low energy levels, poor memory or ongoing stress – do yourself a favor. Add an adaptogen to your daily supplement regimen. And start enjoying life again. I have lupus, fibromyalgia, and chronic pain. My anxiety has been absolutely overwhelming. I have started L-theanine and I think I have noticed a slight effect but it’s inconsistent at best. I would love to know what you suggest as a first line treatment to get anxiety back in check. Absolutely miserable and worried that the anxiety will cause a lupus flare. I appreciate you taking the time to put this info out there. I feel like I have no patience to read through the info and comprehend due to the the severe anxiety. I know you are a busy man, and I would really appreciate if you could help. Please understand that I’m not a doctor nor claim to be any sort of trained medical professional. So I encourage you to do your own research no matter how difficult it may be for you. From what I understand, you’ll need to repair the brain damage caused by using Xanax long-term. While doing your best to tame the symptoms you are experiencing. It will take more than “one pill” to repair your brain and keep anxiety & pain in check. Take a look at and consider trying Curcumin, Gotu Kola, Lemon Balm, Bacopa Monnieri, and Lion’s Mane Mushroom. Links to the full reviews with dosage instructions are up above in this post. Also, find a whole-food multivitamin, a nature-identical B-Complex supplement, DHA, magnesium and possibly Lithium Orotate. Each is reviewed here on Nootropics Expert. 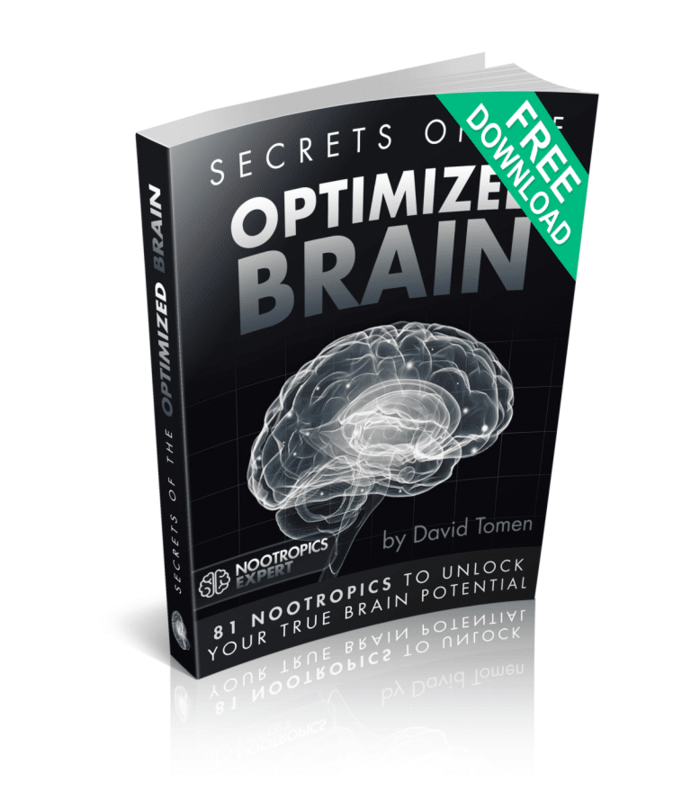 You’ll find the links either on the “Nootropics List” tab or the “Blog” tab. With a multi-supplement approach you should experience some relief within days. But it will take months of consistent daily use to get to a more permanent feeling of well-being. First thank you for all your videos. I am also one suffering from Xanax withdrawal. All doctors are to be questioned prescribing Benzo’s. I have tried a number of new tropics. I’m not mistaken that Lithium O. Can deplete Iodine? As for the mentioned Nootropics, Are there any issues with using any of these and GABA receptors and causing a new dependency? I do know GABA receptors get down regulated, or who else knows really what’s going on for sure. All I know is that being off this medication has increased everything that I have negatively in my mind. I think the question is what did the Benzo destroy, or is it that the brain forgets how to use it? Kind of like someone over using melatonin. Doctors have tried nine different SSRI take meds and all had an adverse effect on me within the first week or two and I had to start. Saint Johns wort did the same, as well as SAMe. I’m not against trying something, but I’m just curious are we more in a waiting game for the brain to heal? Will a nootropic work in assisting? My wife has fibromyalgia, and chronic pain we have found huge reduction in pain with higher dosages of Thiamine HCL, i created a facebook group for people with this issue that outlines the stack she use, your welcome to have a look. Thank you for the excellent responses to your readers. Would any of the nootropics you suggest for anxiety work for someone who is bipolar? My daughter is bipolar and has debilitating anxiety, so much so that she sometimes finds it difficult to leave the house. She takes Vitamin B complex, Vitamin E and Magnesium L-Threonate, and Omega 3/DHA Fish oil. She recently started taking Lithium Orotate. I was wondering if there is anything else that you suggest we add for her anxiety. I am hesitant, because any supplements that mimic SSRIs would trigger her mania. Thank you. Bonnie, several nootropic supplements have been shown in clinical trials to help specific symptoms of bipolar disorder. In no particular order; Methylene Blue, CBD Oil, possibly zinc, many of the B-Vitamins including inositol (Vitamin B8), N-Acetyl L-Cysteine (NAC) and others. I suggest using the search function top right for “bipolar” and see what comes up. You should get 3-pages. It’ll take some time but if you read through most of the posts you’ll have a better understanding on what may cause Bipolar Disorder. And what is currently being used to treat it. You’ll also run across some that you must avoid. Make a list using your research and add whatever you need to your daughter’s stack. You’re part way there. I’m sure with a little more effort you may get this under control, and possibly without prescription meds. Getting control of Bipolar symptoms will also likely go a long way toward taming anxiety. Thank you, David. I will look up what you suggest. CBD oil helped my daughter to sleep, but she found that she built up a tolerance and would have to take breaks between. Kava is sometimes helpful. I will read the three pages on bipolar. Yes, there is a lot of information, but it is good that there are natural supplements available. She has been through many pharma meds, but experienced severe side effects. I’m sure they are helpful and life-saving to some, but for her it has been quite scary. Thanks again. 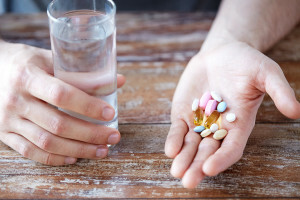 The side effects of many pharma meds scare a lot of people and why they’re looking for alternatives. You are not alone Bonnie. Have you considered another type of CBD Oil? I’m no expert on CBD but it seems to me that with things like Kratom for example, different ‘strains’ have different effects from pain relief to antianxiety. I don’t remember the brand, but it was a high CBD Sativa strain. Yes, it might be beneficial to try different strains until finding the right fit. It would make sense that there is a right-fitting CBD oil somewhere. There are different kava powder varieties as well. One worked for her for sleeping. Haven’t quite worked out the anxiety yet. With the help of this site and others, we will keep trying. Hi David- I am a 50 year old male who takes adderall for my adhd, and trileptal for my ptsd (near death experience from a car accident at 13). Though I take that, I still live as a lone wolf with anxiety. I just realized that the issue I am dealing with is having an imbalance with my Fight-flight in need of adrenal support. What do you suggest I add to my daily support system? Neal, first I suggest you trying using this ADHD protocol to support Adderall: https://nootropicsexpert.com/best-nootropics-for-adhd-add/. Using that stack consistently for at least a couple of weeks should help tame some of your “fight-or-flight” response. And you should find that Adderall works better. If you decide to try this for a couple of weeks please let us know if it helps. We can suggest other nootropics once we see what still needs work. First, I want to thank you for writing this and many other articles. Thereby helping many people who are experiencing physical and/or mental problems of any sort. The last two years, especially last year, I have been experiencing a bad case of brain fog. The clear thinking I had years ago is gone and this has a profound negative effect on the quality of my life. I did a master´s degree econometrics, but I had to abort it because of my brain fog. The cause of my brain fog is probably a long period (3 or 4 months) of severe stress. In your article you refer to a research of Berkely neuroscientists. They discovered that chronic stress can lead to excess myelin (too much white matter) in some areas of the brain resulting in less efficient and impaired communication within the brain. Maybe this excess myelin together with the other harmful effects of chronic stress on the brain are causing my brain fog. Following your article, an adaptogen could maybe alleviate or take away my brain fog by reversing the damage of chronic stress on the brain. Which adaptogen or combination of adaptogens would you suggest for someone like me who is experiencing brain fog after a period of chronic stress? I hope one of these adaptogens can (partly) reverse or undo the harmful effects of chronic stress on my brain. Lastly, I have to mention that after my period of chronic stress I also experienced a period of anxiety. Luckily, I do not experience any anxiety anymore, but I still experience this awful brain fog. Arend, look at Ashwagandha, Lemon Balm and Bacopa Monnieri. They help repair and regrow dendrites, synapses and neurons. Look up the definitions of those terms so you know what you are dealing with. And have a better understanding on what needs fixing. The human brain uses a process called “long-term potentiation” to basically hard-wire networks for long-term memory. But the reverse is true as well. It’s called “long-term depression”. Essentially hard-wiring your brain for the long haul to deal with chronic stress. Adaptogens can help reverse some of this unintentional damage. I suggest also trying something like Pine Bark Extract to increase blood flow in your brain. And do a search of this site for the keyword “brain fog” and find individual nootropics shown to help lift brain fog. Xanax withdrawal sufferer here along with cognitive issues from youth. After coming off of Xanax, life has been tremendously difficult. It got so bad I can’t even work, nor function really because I’m so self absorbed in my own head and how I feel and think of myself. Just hard to let certain things go on my head. The above I’ve been taking for many months, and I have not seen any improvement. When I read about certain other GABA agonists or ergics,.. I wonder am I just replacing Xanax for another type of Xanax? We’re not taking the Nootropic would feel just as bad as not taking Xanax? Would it down regulate GABA receptors as Benzo’s do? Any nootropic that directly increases or up-regulates a neurotransmitter and when used in high doses could negatively affect that receptor. Phenibut comes to mind here. So stay with experimenting with things like Ashwagandha, CBD Oil and Lemon Balm and let me know if any of them help. You are the best! Can you tell me the consequences of one Now brand Dopa Macuna to help with dopamine and added Bacopa or Rhodiola? I’m trying to balance dopamine and serotonin. I had my 23andme raw data sent to Self-Hacked for further analysis for neurotransmitters/mood and it came back that I have mutations for SAD and low dopamine and serotonin. This has been a few years of chronic stress and I am having a hard time getting energized/motivated. And life demands I get motivation quickly. I use a 200 mg theanine every day and most days phosphatidylserine also as well as Krill oil and B complex and T3 for thyroid. I take a 500 mg tryptophan at night (recently). CBD isolate does nothing for me and I can’t take any THC at all so the CBD entourage is out although my genetics came back low on CBD receptors also. AB, for boosting dopamine you can use Dopa Mucuna from NOW Foods or L-Tyrosine or N-Acetyl L-Tyrosine (NALT). You can also get high quality NALT in Mind Lab Pro which includes Bacopa and Rhodiola and save a little money. AB, for boosting dopamine you can use Dopa Mucuna from NOW Foods or L-Tyrosine or N-Acetyl L-Tyrosine (NALT). 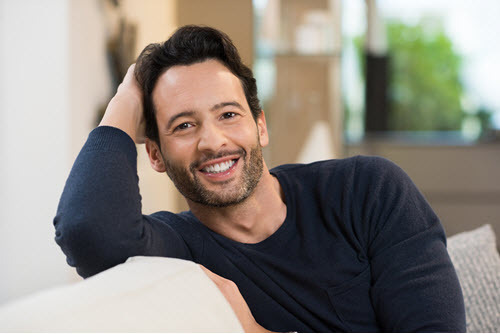 You can also get high quality NALT in Mind Lab Pro which includes Bacopa and Rhodiola and save a little money )https://nootropicsexpert.com/mind-lab-pro-review/).